Dominiq Russell (left) and his father Shelby Russell (right) at their home in Milford, N.H. Dominiq's parents were instrumental in helping him navigate N.H.'s veterans' court system. Dominiq Russell is a former airman from Milford, New Hampshire. He’s twenty six years old. And his story begins when he was twenty-one, in Las Vegas. "I was the back seat passenger in a Honda Civic that was struck by an F-150 going 60 miles per hour," he says. The accident was bad. It put him in a coma. His father, Shelby Russell, says when Dominiq woke up a month later, his family flew him back to New Hampshire. "Then for the next two years he had to learn how to walk, learn how to talk, learn how to speak again," Shelby Russell says. Dominiq relearned those skills, but his traumatic brain injury was permanent. Shelby Russell says it began changing his son’s behavior after Dominiq living on his own again. "The medication stopped and he started having all these issues with controlling his actions," he says. Then, trouble. He was caught with some friends who had marijuana. Rather than go through the traditional justice system, he was given the option of entering veterans’ court. It’s a relatively new program in New Hampshire that acts as a parallel judicial system for vets. It’s supposed to be sensitive to veterans’ issues. Diane Levesque is the veterans’ court liaison employed by the Manchester VA.
"My goal is to get people out of jail. I do that every day," she says, laughing. Levesque shepherds veterans like Dominiq through the system, connecting them with resources like rides to appointments. She also monitors their progress. Neither she nor the court issues a guarantee that any given participant will avoid jail. They have to follow the program they agree to. Dominiq, for example, started off doing really well. He went to his doctor’s appointments and his mandatory regular check-ins with the judge in Nashua. But that didn’t last. He missed a court appointment and was sanctioned. Then he got into a shouting match at a nightclub and he was arrested. His prospects for finishing the program looked bleak. Then Dominiq’s parents stepped in. His father went to the court meetings and his mother took him to doctor’s appointments. That’s when things turned around. He went to his appointments and court meetings. He even went to called "Thinking for a Change," which encourages vets to stop and think about their behavior. It worked for him. But at times, Dominiq felt there wasn’t enough understanding of his TBI. "I do like veterans court," Dominiq says. "But I just think that some people should do more research on each person rather than just think everybody’s the same. Because they thought I was the same as everyone else, making excuses, until I told them about traumatic brain injury. I forget things." Diane Levesque says she thinks it’s a good idea to treat all veterans with TBI the same. Dominiq Russell stands beside a photo of himself in uniform at his parents' house in Milford, N.H.
"I have to take care of all of these veterans and I have to consider the message that’s being sent out if one veteran is treated differently from another veteran who has TBI," she says. The problem is, TBI manifests itself in a variety of ways, which the traditional court system is not necessarily used to. Scott Swaim is the director of Justice for Vets, a non-profit based in Virginia dedicated to making sure that the criminal justice system effectively responds to vets in these special courts. 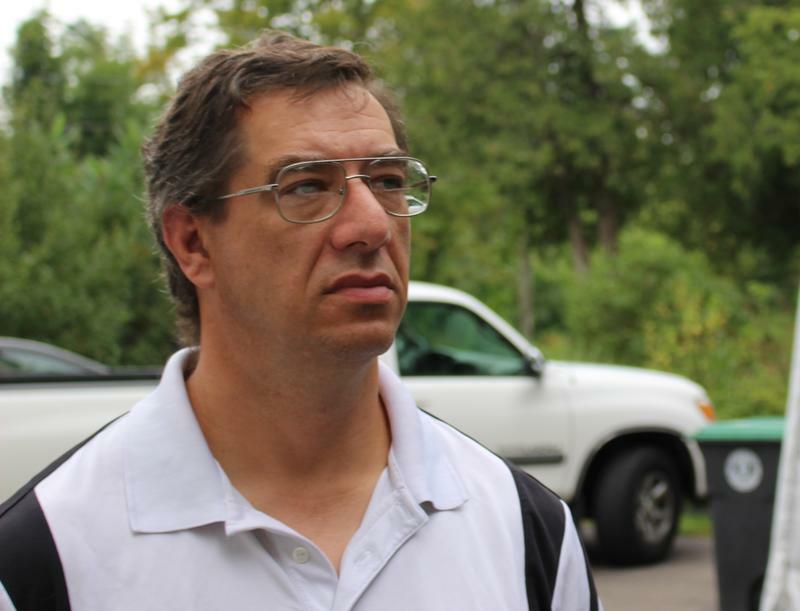 "I’ve seen many times that the courts might not understand mental illness in the way that a treatment provider will, and the treatment providers don’t understand the court system the way the court does," he says. "So this marriage of treatment and courts sometimes is bumpy." And it was bumpy for Dominiq, but, like most veterans in the Nashua veterans' court, Dominiq made it through successfully. For veterans who don’t have family support, two peer support specialists employed by the VA can help. Easter Seals is also training volunteer mentors to provide the kind of support Dominiq’s parents provided. Dominiq completed the court program a few months ago. He’s living at home with his parents in Milford and working at Dominos Pizza as a manager-in-training. "My future future plans is to open up my own hookah bar. That’s my dream goal. With live music and such," he says. But for now, Dominiq says he’s taking life one day at a time. Through the month of November, NHPR will be telling stories of military veterans in the Granite State. Next week: what some veterans are saying about the issues that matter to them this election season. If you're a veteran and would like to weigh in, send an email to Peter Biello at pbiello@nhpr.org. At a Veterans Resource Fair in Concord Tuesday, groups dedicated to helping veterans gathered on the campus of NHTI. Of course, it was also Election Day. So that meant a lot of political talk, even in a year when veterans issues never rose to the top of the candidates' agendas. Here in the student center, students mill about before class. One tinkers with a piano in the corner. Naloxone, also known by the brand name Narcan, is a drug that has the power to reverse a drug overdose and save lives. Doctors in New Hampshire can prescribe it to anyone who could use it to help someone survive an overdose. But doctors at the Veterans Health Administration hospital in Manchester don’t do that. Doctors at VA hospitals only write prescriptions for the drug user—not for friends or family. One New Hampshire veteran is trying to get the VA to change that. We sit down with NPR correspondent Quil Lawrence. He's covering the issues faced by millions of Americans who are deployed to Iraq and Afghanistan as they transition to life back at home. We'll discuss the struggles faced by veterans, as well as his time as NPR's bureau chief in Kabul and 10 years of reporting in Iraq. Listen to the full conversation with Quil Lawrence. 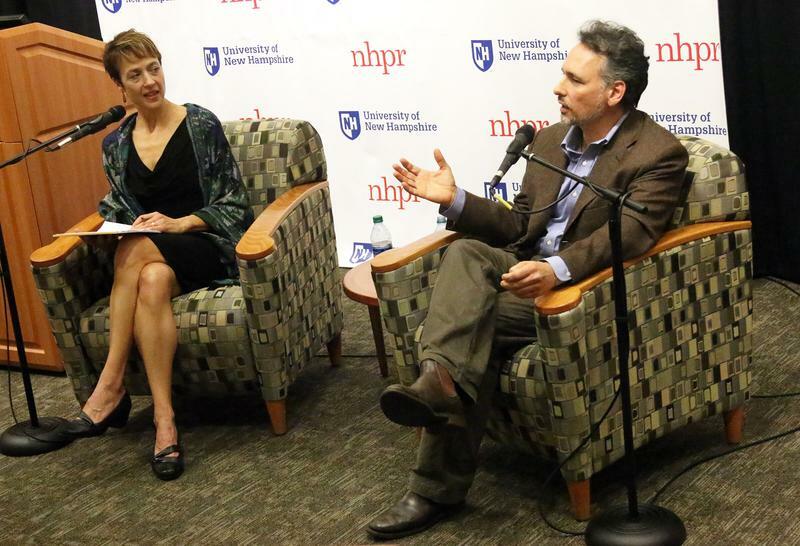 New Hampshire Public Radio and the UNH School of Law come together to bring you another event in their series, Justice & Journalism. This series presents a range of speakers to discuss the intersection of justice and journalism. 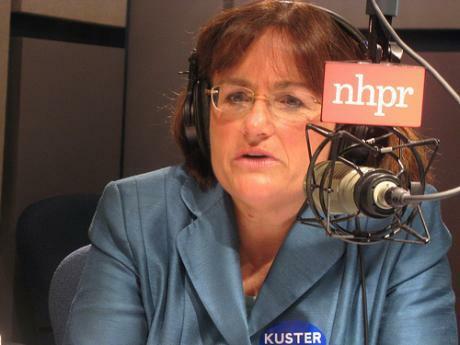 A bill introduced by Democratic Rep. Annie Kuster would launch pilot programs in five states to reduce the use of opioid medications and increase the use of alternative treatments.